It’s impossible to visit Liverpool and not fall in love with its scouse charm, whether it’s your first time here or you’re an avid visitor, Liverpool is the perfect destination for a weekend away. Bursting with history, culture, attractions and a wealth of restaurants and bars, it’s one of the most popular cities in the UK. Whether you’re here for a day or a little longer, here are some suggestions for spending the best 48 summery hours in Liverpool. First things first, you need to find yourself a hotel or apartment that is centrally located. 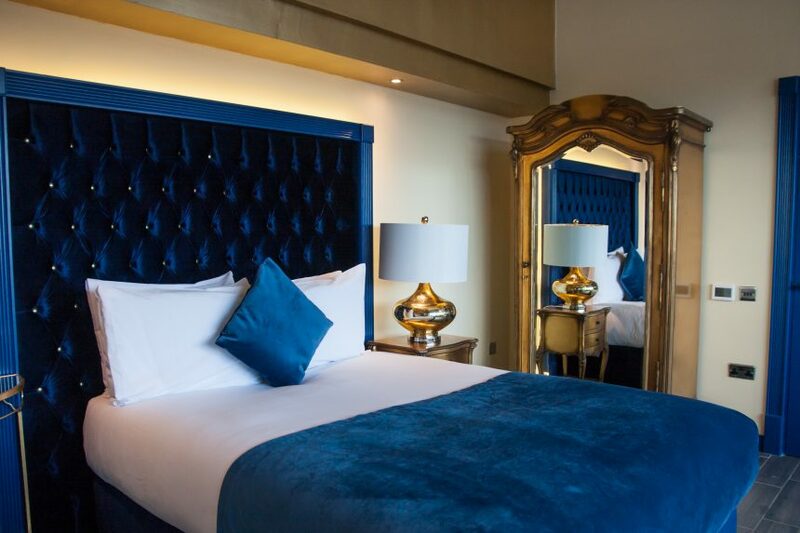 Liverpool offers a range of different accommodation types, from luxury hotels, to apartments, group accommodation and hostels, there’s something for everyone. 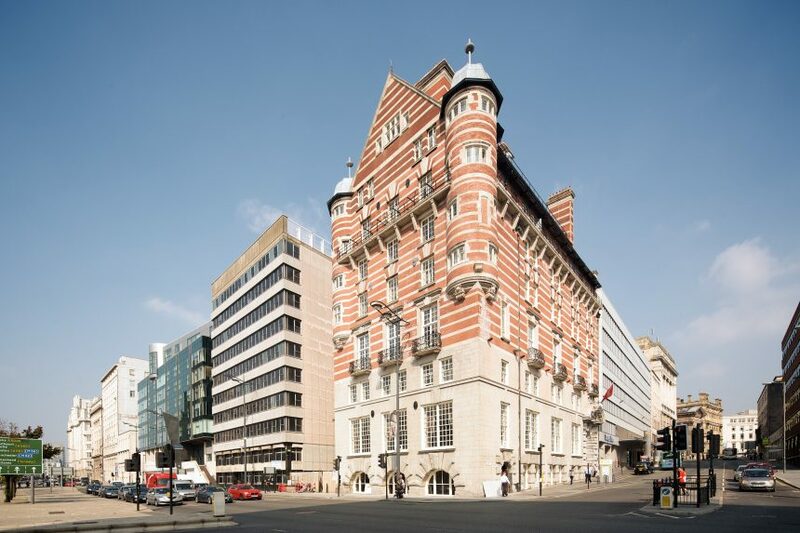 You can choose from traditional hotels like 30 James Street, the Hilton, the Shankly Hotel and Hotel Indigo. 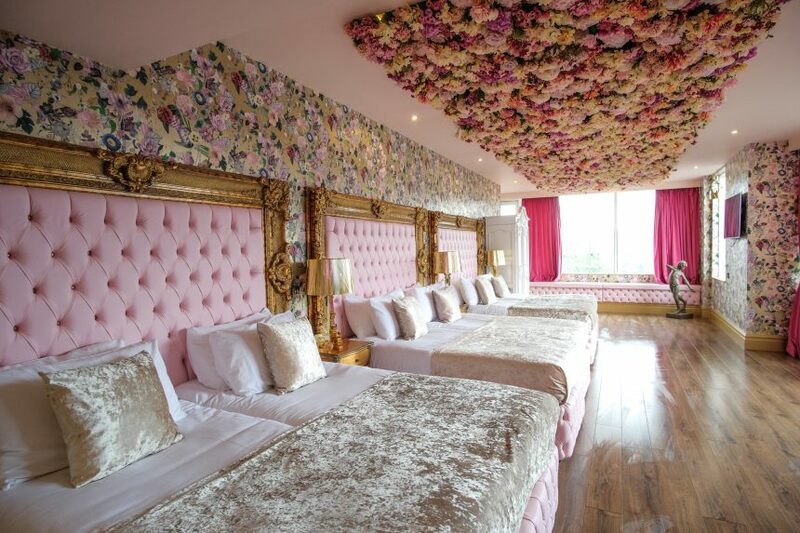 Or try out a party apartment from Signature Living and really experience the best of Liverpool. There’s also the luxury boutique Hope Street Hotel that has proved to be a favourite or if you’re on a budget check out one of the many hostels and make some new friends! Most accommodation options are in the city centre, within walking distance of all the main attractions and are reasonably priced. You’ve arrived and checked in, but before you begin your adventure go on a hunt for some brunch to set you up for the day. 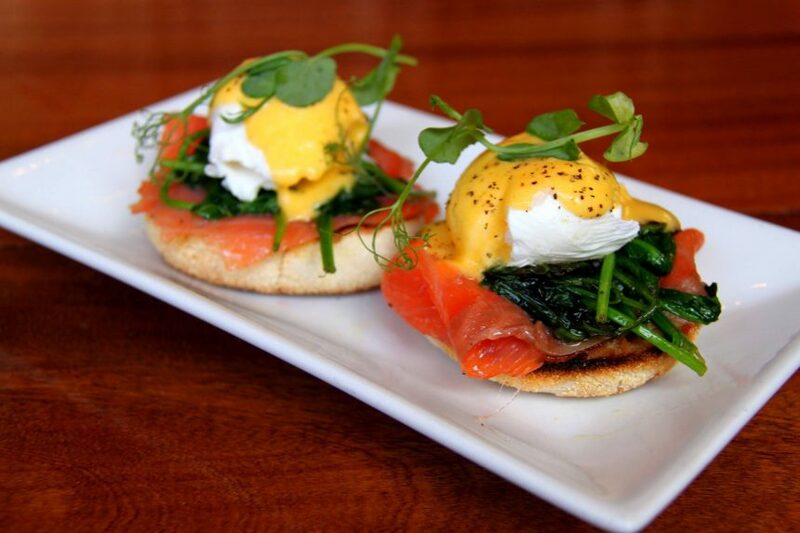 Liverpool is full to the brim with trendy, traditional and posh cafes that serve delicious brunch options to satisfy your rumbling tummy. 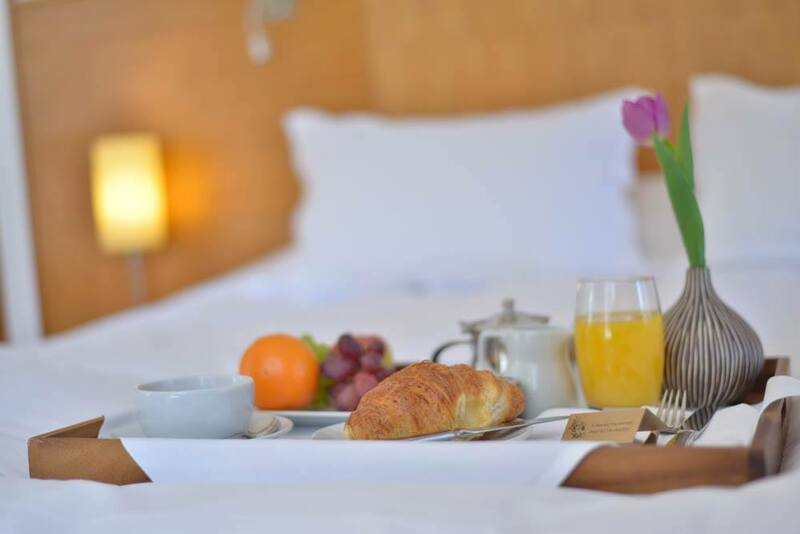 Depending on where your hotel is, the best brunch options are scattered all over the centre and most are within walking distance of the heart of the city. 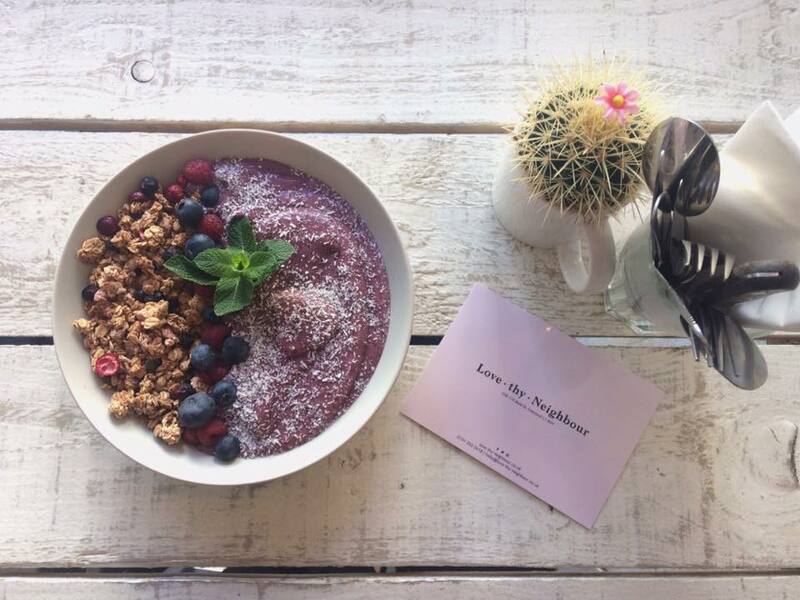 If you’re in the Bold Street area, Leaf or Love Thy Neighbour are the best places to head for exotic tea choices, vegan options and plenty of avocado based dishes. Elsewhere you’ll find Filter and Fox, The Brunch Club and Moose Coffee that never disappoint, especially if you’re a fan of eggs beni. 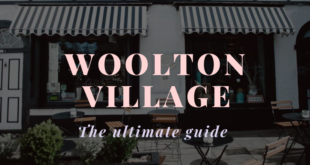 But if you’re still struggling to decide, check out our handy guide to the best places in Liverpool to grab breakfast. Liverpool’s stunning waterfront is the perfect place to begin your scouse odyssey. 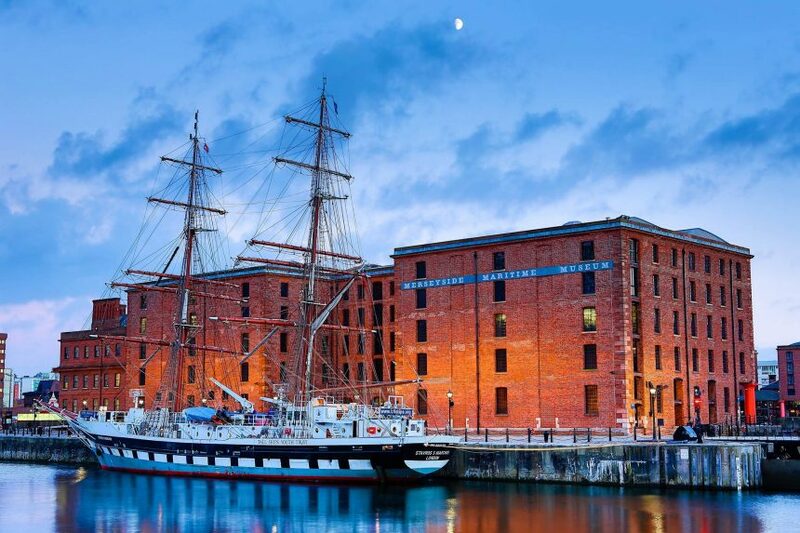 Not only does it give a fascinating insight into how Liverpool was built on its maritime trade, but a walk along to the Albert Dock provides an amazing view of cultural Liverpool. 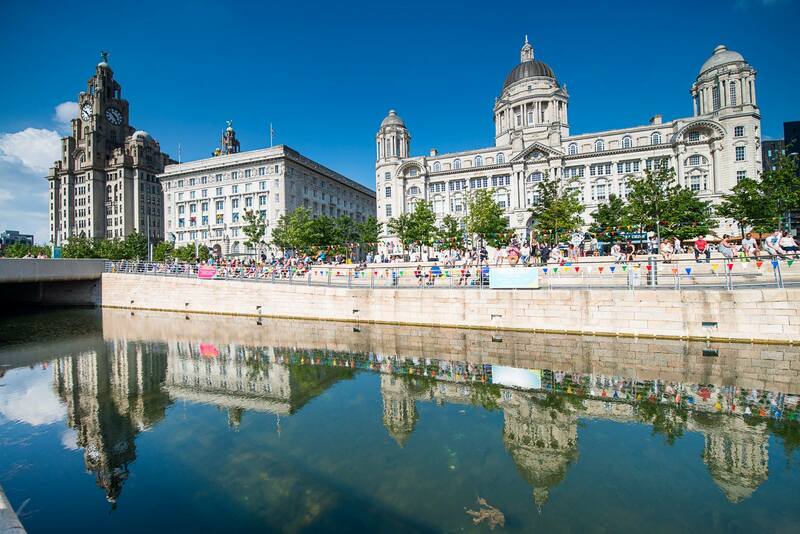 Within a 10-minute stroll you’re treated to a close-up look at the Three Graces – the Royal Liver Building, the Cunard Building and Port of Liverpool. If you carry on a little further you’ll come across the new Beatles statue commissioned for the city by the Cavern Club, and you can watch the Mersey Ferry sailing its route across the water. This unique waterfront is a UNESCO World Heritage Site and is sure to impress any visitor to the city. 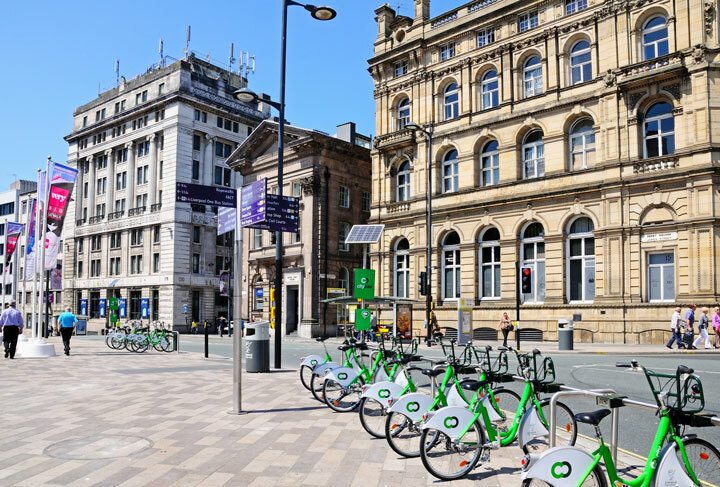 If you’re conscious of time, you can even take a city bike from one of the many stations along the front and cycle the route. While you’re on the waterfront you can visit a number of amazing free museums, art galleries and cultural hotspots that have proved extremely popular with tourists. You might not have time for all of them, but here’s a quick guide to what to expect and what times they are open. This iconic museum was opened in 2011 and showcases the city’s global significance through its geography, history and culture. It opens from 10am to 5pm daily and tells Liverpool’s story through a series of galleries. The two on the second floor, Wondrous Place and People’s Republic, have impressive floor-to-ceiling picture windows with spectacular views out to the Albert Dock and Pier Head. Whilst you’re there don’t forget to take a quick picture with the ‘Super Lambanana’ outside the front door. 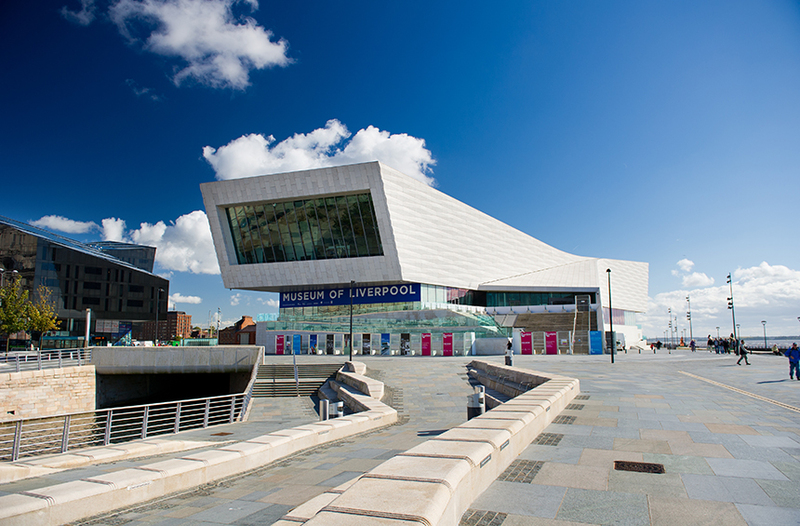 Just next door to the Museum of Liverpool, the Open Eye Gallery is nestled in the stunning Mann Island development. Since its opening in 1977 it’s been one of the UK’s leading photography spaces and is still at the heart of Liverpool’s cultural life. Strikingly laid out over two floors, it has a fascinating archive of photographs from the 1930’s to the present day as well as an extensive collection of contemporary photography. It’s open Tuesday to Sunday, 10am-5pm and is open on Bank Holiday Mondays. Only opening in March 2017, the British Music Experience is one of the UK’s most exciting attractions. The innovative new museum features over 600 items, including collections of iconic stage outfits, instruments and memorabilia for the public to admire. Celebrating the best of British music from 1945 to the present day, it features David Bowie’s Ziggy Stardust costumes, along with the handwritten lyrics to Blue Monday by New Order, plus interactive apps to use throughout your visit. 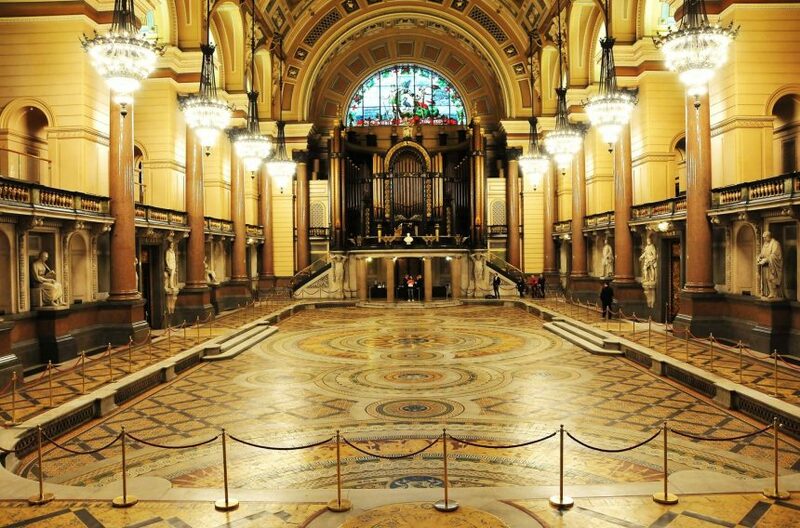 You’ll find the exhibition located within the striking Cunard Building along the Pier Head. It’s open everyday 9am-7pm and until 9pm on Thursdays. 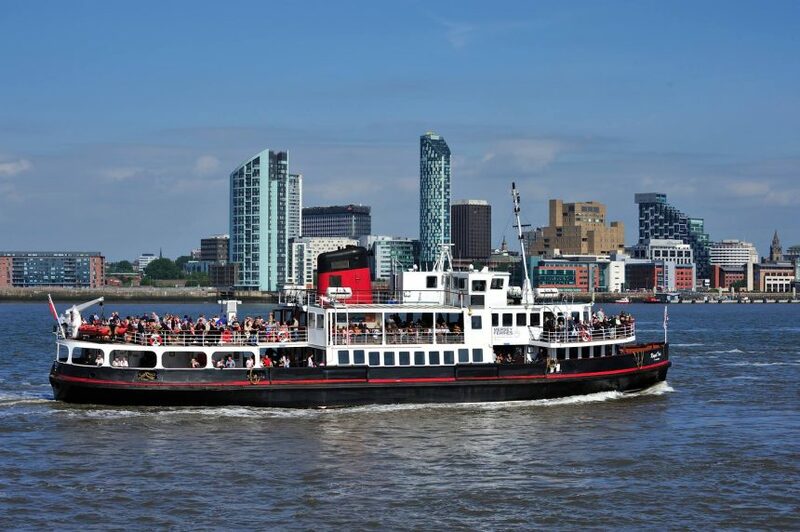 During your 48 summery hours in Liverpool, a journey on the famous Mersey Ferry is a must. See Liverpool’s most iconic sights from the water itself as you climb aboard the River Explorer Cruise and enjoy a 50-minute journey along the riverside. Guided by expert commentary throughout the trip, the River Explorer Cruise offers stunning views of Liverpool’s famous skyline with a captivating and rich description of the culture and history behind it. Tickets are around £10 for adults and £6.50 for children, with many family ticket options available. 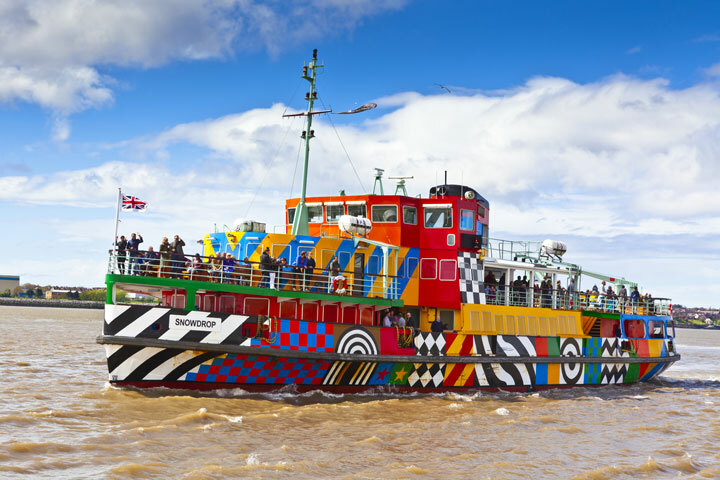 Until December 2018 some lucky seafarers will be treated to a voyage on the Dazzle Ferry ‘Snowdrop’, created by Sir Peter Blake. This unique vessel features vivid eye-catching motifs all over the outside, it truly is one of a kind. 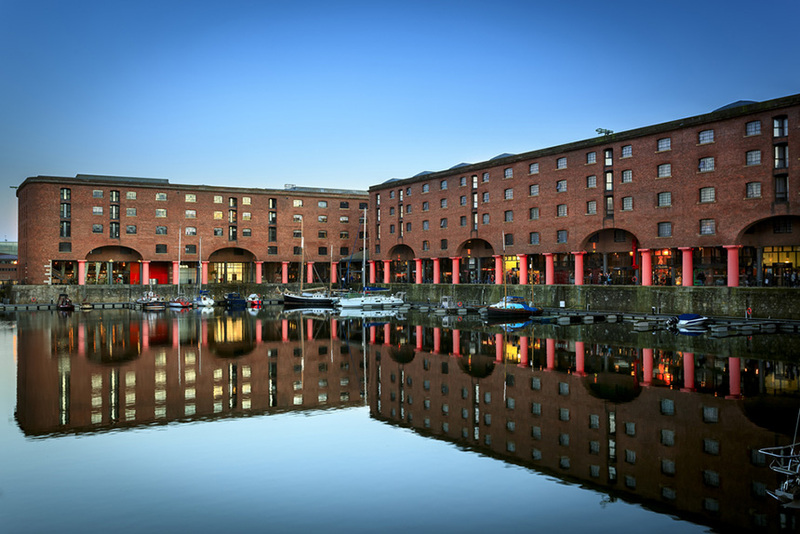 Head to the beautiful Albert Dock area and take an anti-clockwise stroll under the colonnades of the grade I listed dock, one of the most famous landmarks in the city. 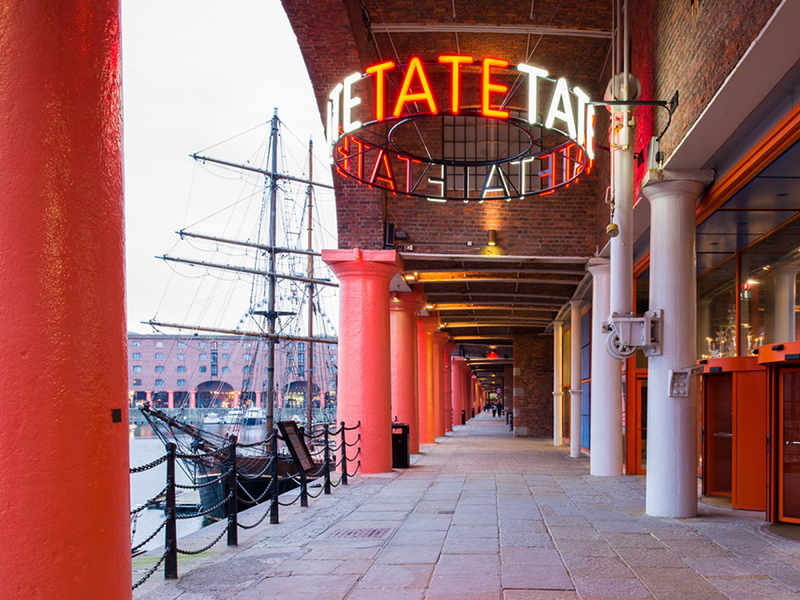 The walk will take you past Tate Liverpool, the Beatles Story and the Merseyside Maritime Museum, along with a host of souvenir shops, boutique hotels, bars and restaurants. There are also a number of interesting new and old ships to cast your eyes over as you soak up the sunshine, don’t miss the Dazzle Ship! Why not buy a gift for someone at home or stop in one of the galleries and museums, these are the best ones to check out. 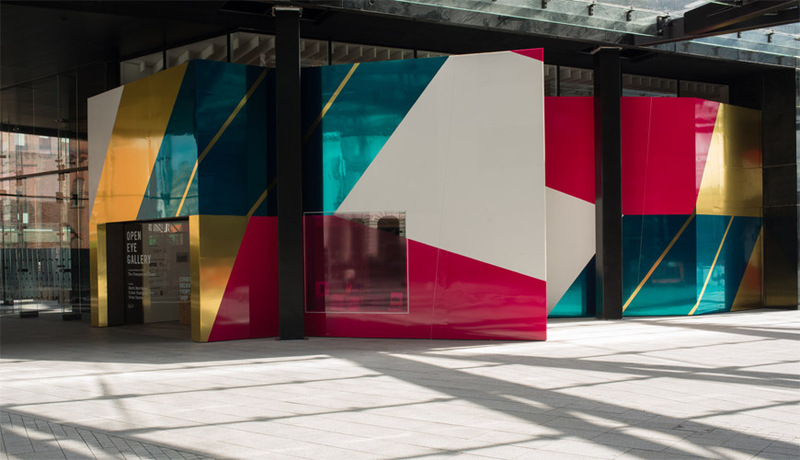 Open every day 10am-5.50pm, the Tate Liverpool showcases the National Collection of Modern Art in the north, and is one of the most visited art galleries outside London. The gallery stages a changing programme of special exhibitions throughout the year, which bring together artworks from all over the world. In recent years, artists featured in Tate Liverpool’s special exhibitions have included Gustav Klimt, Pablo Picasso, Andy Warhol and Claude Monet. Boats, paintings, ship models, ship wrecked objects, uniforms and more bring Liverpool’s nautical history to life in the Merseyside Maritime Museum. Discover the city’s pivotal role as the gateway to the new world with highlights including the Life at Sea display, telling the story of the merchant navy and the story of Liverpool’s role in The Battle of the Atlantic during World War Two. This fantastic nautical museum is open every day from 10am until 5pm. What better place to celebrate the Fab Four than in their very own city? 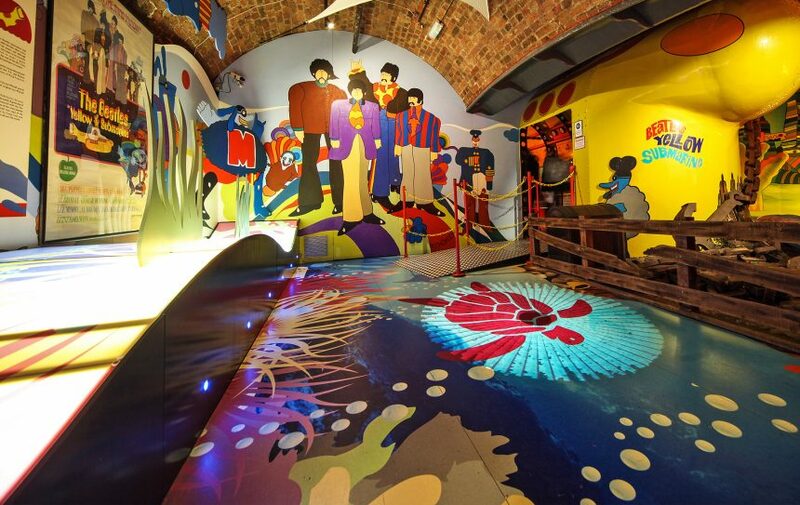 With the world’s largest permanent Beatles exhibition, this is a must-see for tourists and anyone who is eager to delve into the weird and wonderful world of Liverpool’s favourite band. Guests are taken on a journey through time to see exactly how the Beatles rose to worldwide fame. Expect to discover how the boys met and get an inside look at the famous Abbey Road Studios. This wonderful experience is open every day 9am-7pm. 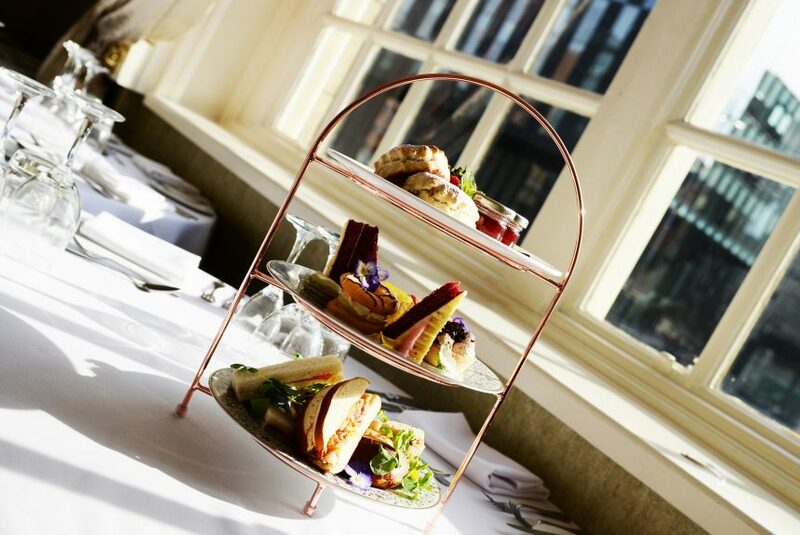 To top off an idyllic summers day in Liverpool why not treat yourself to a luxury afternoon tea at one of the city’s many outdoor eateries. Around the waterfront there are a wealth of beautiful bars and restaurants that feature stunning rooftop terraces that look out over the docks. The amazing Carpathia Champagne Bar and Restaurant, set on top of the iconic 30 James Street Hotel, this luxurious venue is a favourite with locals. 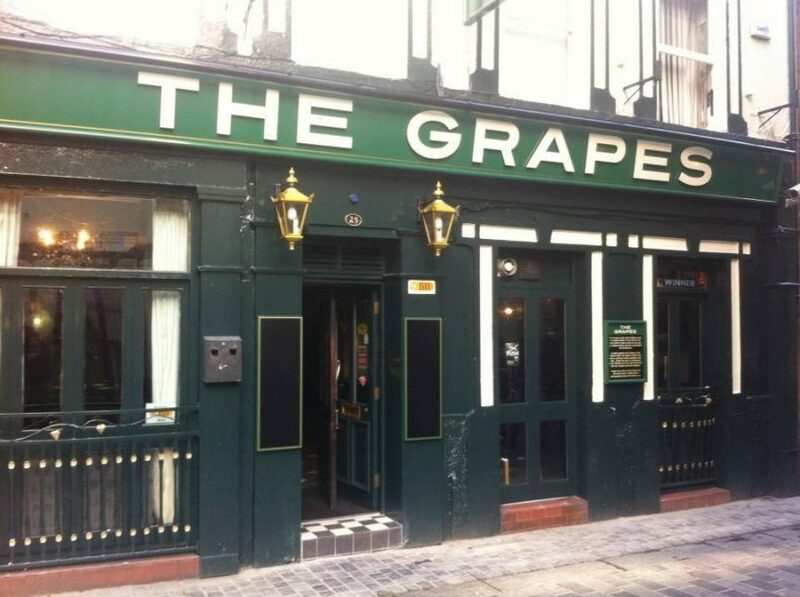 Or try out one of Liverpool’s hidden gems, Goodness Gracious. 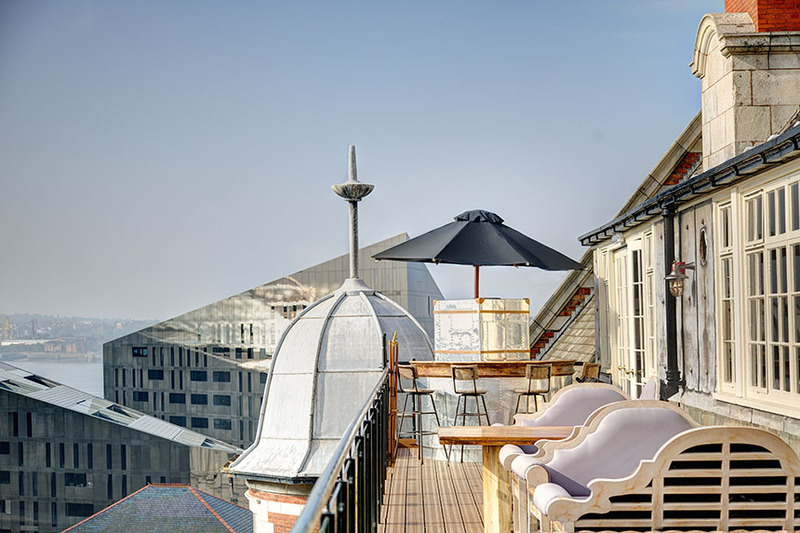 This rooftop bar is set at the top of the wonderful Oh Me Oh My restaurant and offers some of the best views of Liverpool. Last but certainly not least, if you fancy something a little different from afternoon tea, head over to Matou and sample their pan-Asian menu and delightful cocktail list. Liverpool is famous for its music, whether you prefer open mic nights, acoustic gigs, karaoke or booming stadium events, the city will always offer something that caters for your taste. One of the most sophisticated of these is the amazing fiddler on the roof at the Carpathia Champagne Bar and Restaurant. So why not stay a while and soak up the last of the sun on the rooftop whilst you relax to the soothing classical sounds of fiddling. There are also plenty of great gig venues around the Ropewalks area of Liverpool including the Arts Club, Buyers Club, Jacaranda and Sound. 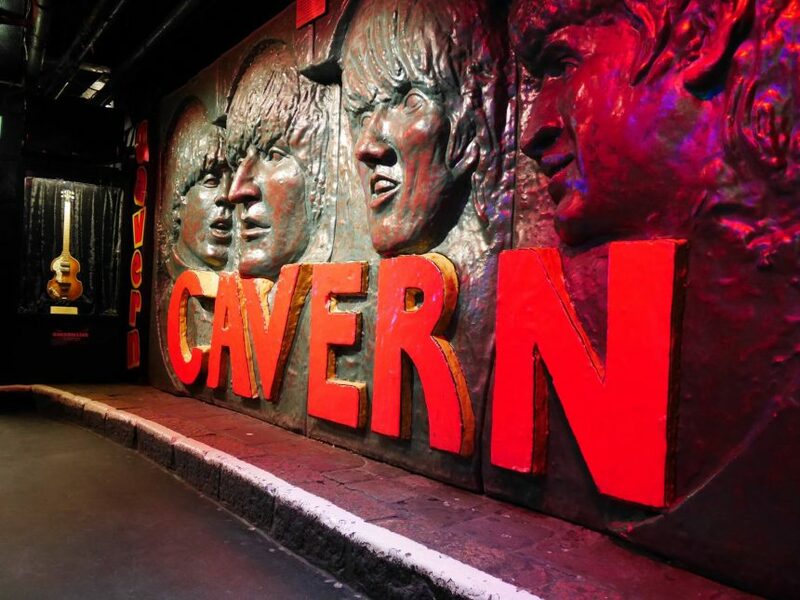 If that isn’t quite your cup of tea, head to the Cavern Club and become a true Liverpudlian. We all know that the Beatles and Liverpool go hand in hand. 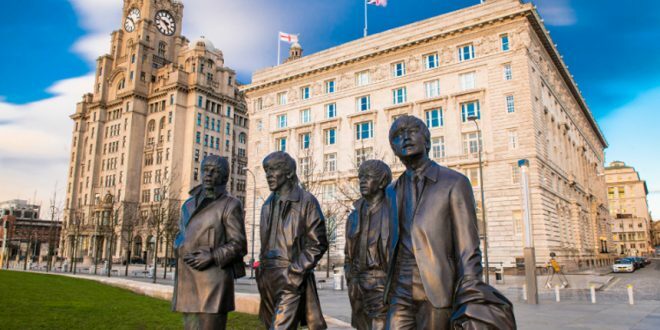 From museums, statues and monuments to ancient pubs that boast of being the place it all began, this city worships the Fab Four. 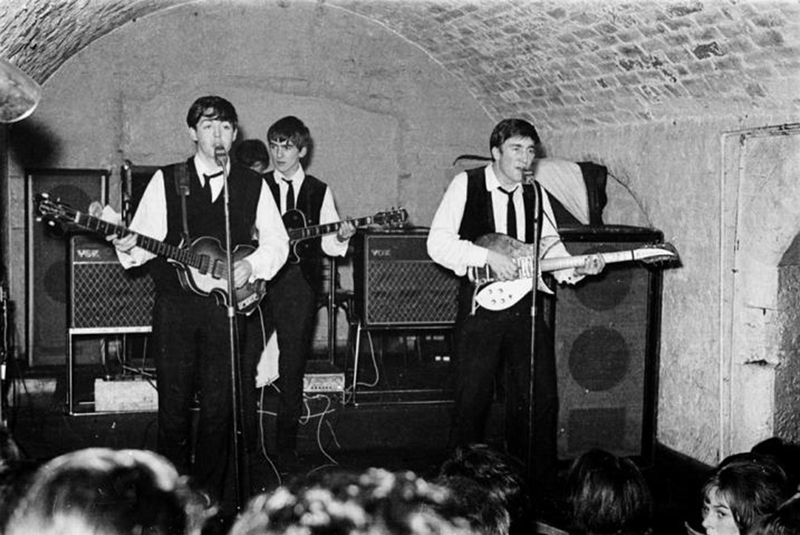 One of the best areas to explore if you love John, Ringo, Paul and George as much as everyone else does is the Cavern Quarter. A hub of activity no matter when you go, this unique area is a shrine to this world-famous band and is a must during your 48 summery hours in Liverpool. 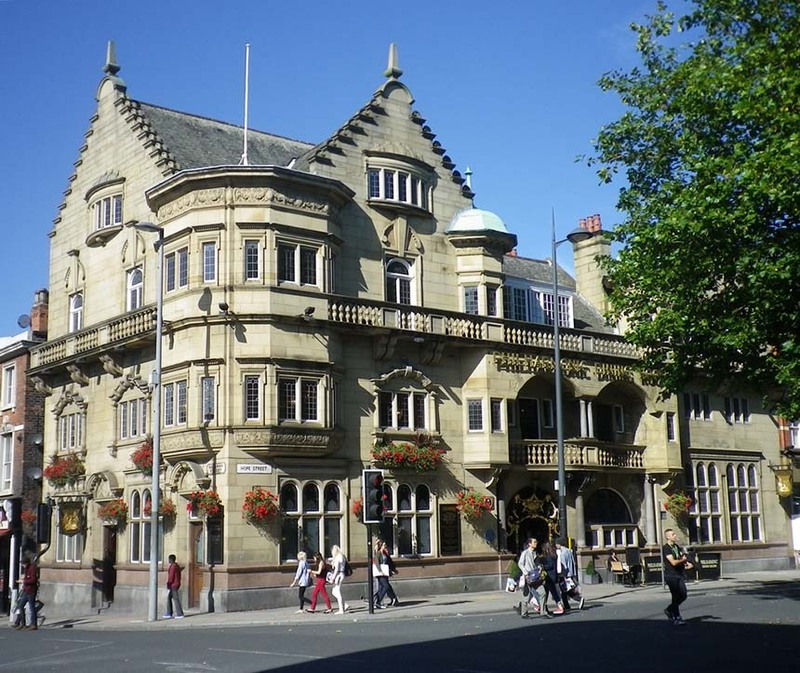 Head in the direction of the Cavern Quarter but stop a little short of the tourist traps and duck into the Grapes pub, where the cluttered wooden tables and timeworn flowery carpet look as if they haven’t changed in decades. Perhaps one of the most iconic venues on Mathew Street, the world-renowned Cavern Club is the crowning jewel of the nightlife in this area. So, if you love a good singalong and are keen to experience the best of Liverpool’s nightlife, this is the number one destination for you. 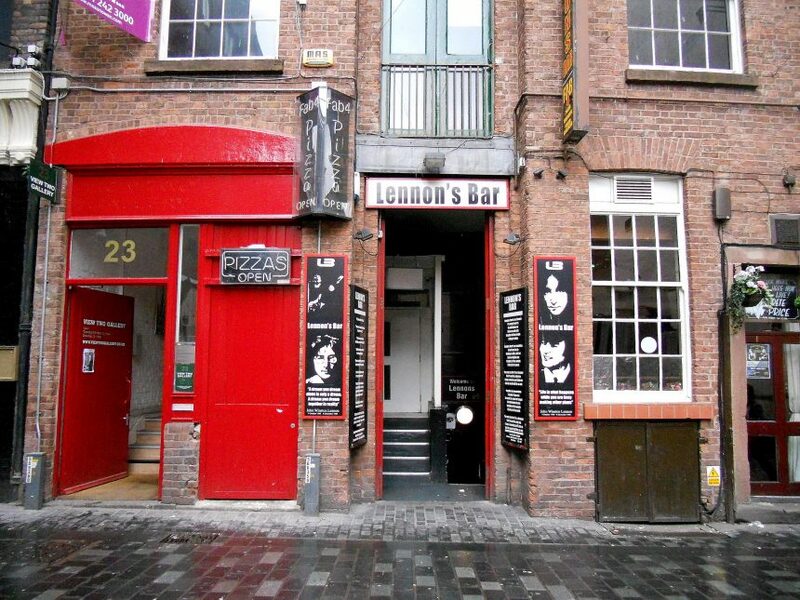 In the midst of a Beatles mad street, Lennon’s is a fantastic little tribute bar, with memorabilia everywhere you look and a soundtrack that certainly won’t disappoint, it’s a great way to round off your first day in this great city. After a long day of exploring it’s time to hit the hay. None of the hotels are far from the Cavern quarter so you can quite easily walk back, but if your eyes are heavy you can grab a taxi from the local taxi services Delta or Alpha. If you’re feeling peckish, lots of the hotels we suggested will have a late-night food menu, so you can enjoy some tasty treats from the comfort of your own room. Our favourite is The Shankly Hotel’s midnight munchies menu that includes delicious pizzas, toasted sandwiches and hot dogs served until 5am. Depending on which hotel you decided to stay at will determine whether you breakfast with them or venture out to find your own early morning scran. As you already know, Liverpool has a vast selection of cafes and restaurants that offer really great breakfast options at reasonable prices, you’re sure to find somewhere if you take a stroll up Bold Street. However, if you prefer to stay in your hotel, the majority of places offer guests a continental style buffet or sit-down table service. The Hope Street Hotel even provide prosecco and breakfast in bed. The choice is yours! You can’t spend 48 summery hours in Liverpool without going on a themed tour of this amazing city. From football stadium visits and musical delights, to Beatles-mania and cultural sightseeing, there’s something for everyone. 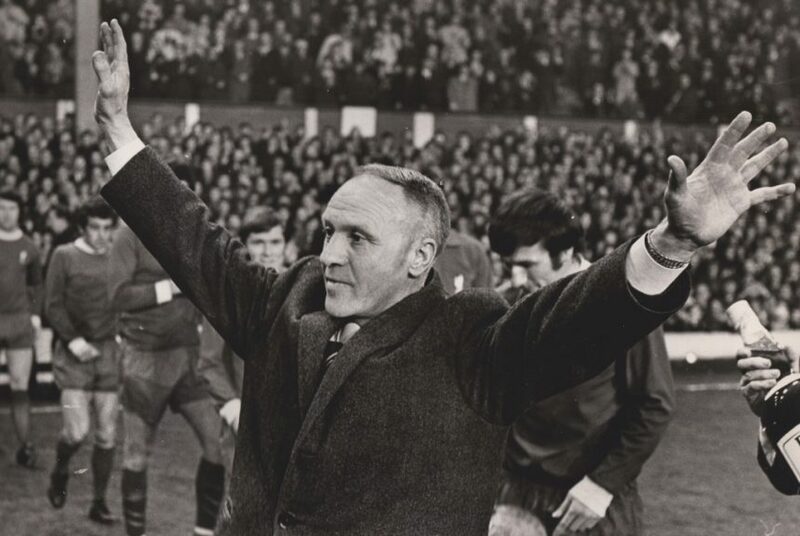 Each Shankly Experience Tour includes a visit to the Shankly Hotel where visitors are treated to a tour of the Shankly Museum and given VIP access to memorabilia not out for display. 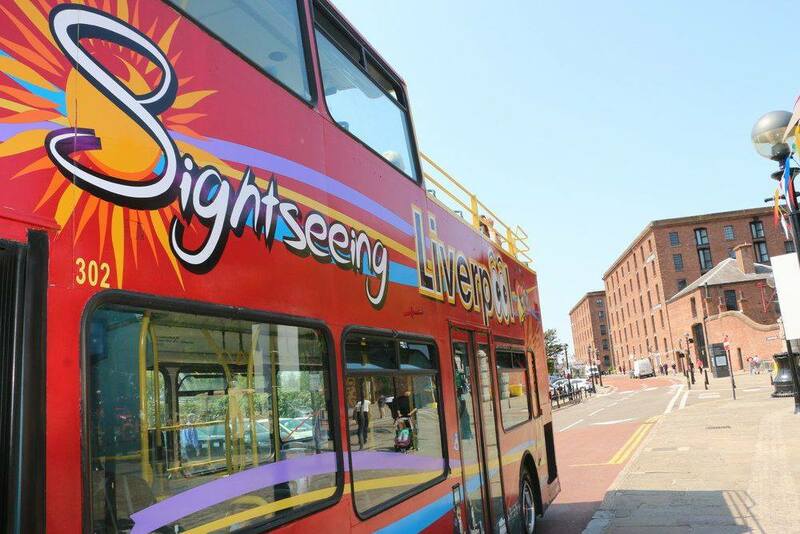 Or if you really want to make the most of the sunshine you can experience the Beatles magical mystery tour or take a thrilling trip on the Liverpool city sights open top bus! 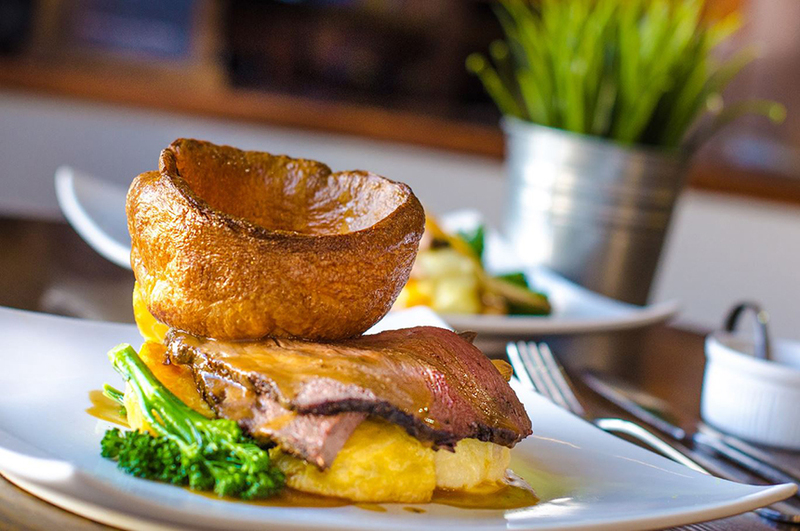 Even when its sunny outside, you can’t go wrong with a comforting Sunday roast. The delicious crispy roast potatoes, perfectly cooked meat and lashings of gravy are hard to beat, especially if you’re feeling a bit delicate from the night before. You’ve refuelled so it’s time to walk off all of those carbs. Liverpool is home to not just one but two spectacular Cathedrals and you’d kick yourself if you spent 48 summery hours in Liverpool and missed out on these amazing sights. 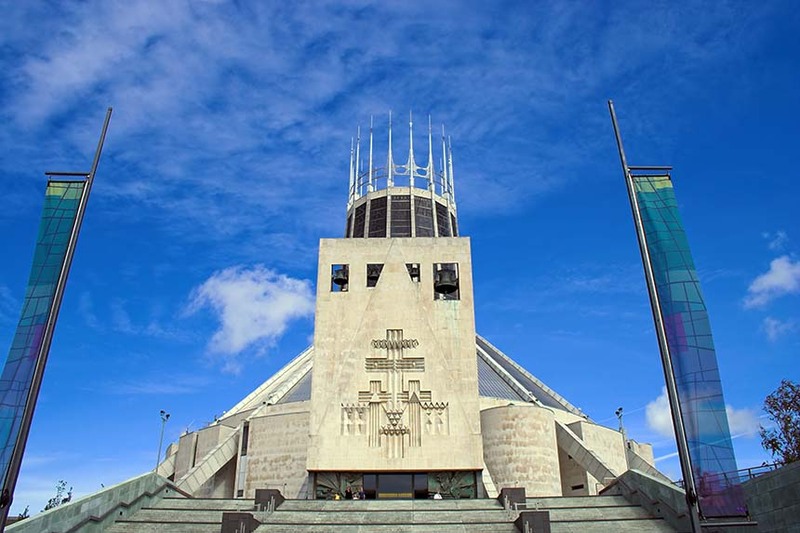 Walk towards Hope Street and you’ll come across the breath-taking Metropolitan Cathedral of Christ the King, or ‘Paddy’s Wigwam’ as its affectionately known by the locals. You can explore the majestic exteriors and interiors of the Grade II* listed building for free, join in a service, take a guided tour or even catch a live show, which is nothing short of spectacular. When inside look up to find the exposed interior of the prominent spire, beautifully adorned with stain glass windows, it’s a real highlight. Take a stroll along Hope Street and you’ll come across various cultural delights including the brand-new Everyman Theatre, the historic Philharmonic Pub and Philharmonic Hall and finally Liverpool’s Anglican Cathedral. Explore the exterior of this spectacles Cathedral and enjoy a Tower Experience where you can walk (or get a lift) up to the top of the tower and enjoy panoramic views from 500ft above sea level. 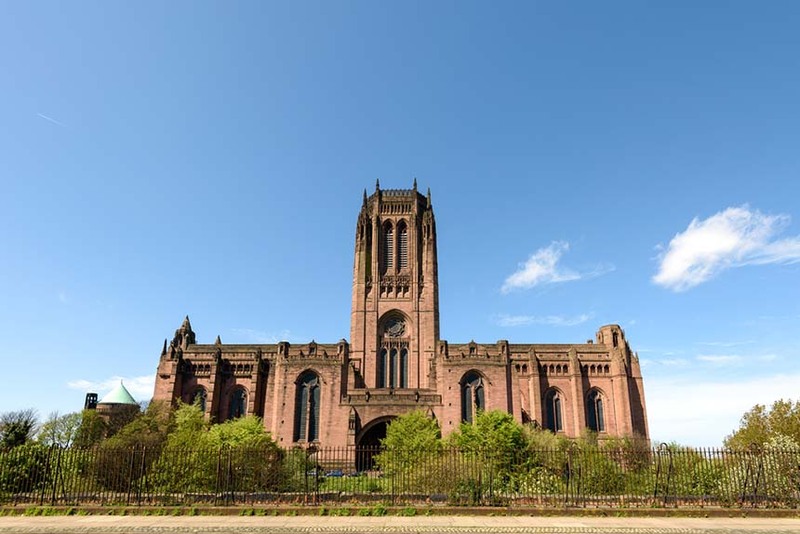 The Anglican Cathedral is Britain’s biggest cathedral and the 5th largest in Europe and the friendly staff are more than happy to give you a guided tour and take you to see the Bell Chamber, where the world’s heaviest peal of bells are housed. If you’ve got time it’s always worth heading to St George’s Hall which is opposite Liverpool Lime Street Station. Widely regarded as one of the finest neo-classical buildings in the world, this magnificent hall is Grade I listed and is sure to take your breath away. Next to St George’s Hall is another World Heritage area, the city’s museums quarter, with the Walker Art Gallery, the Central Library – some call the impressive interior Liverpool’s third cathedral, and the World Museum Liverpool. Keep the culture coming and take a short taxi ride or a 15-minute walk to the Baltic Triangle area, known as the Cultural Quarter. Home to many of the city’s creative industries, hip live music venues and unique bars and restaurants, the Baltic Triangle is a vibrant hub just outside the city centre that offers something a little different. Once the well-worn factory and workshop of the city back in the slave trade of the 1800s, now a thriving and cutting-edge destination that is at the heart of the Independent Liverpool scene. 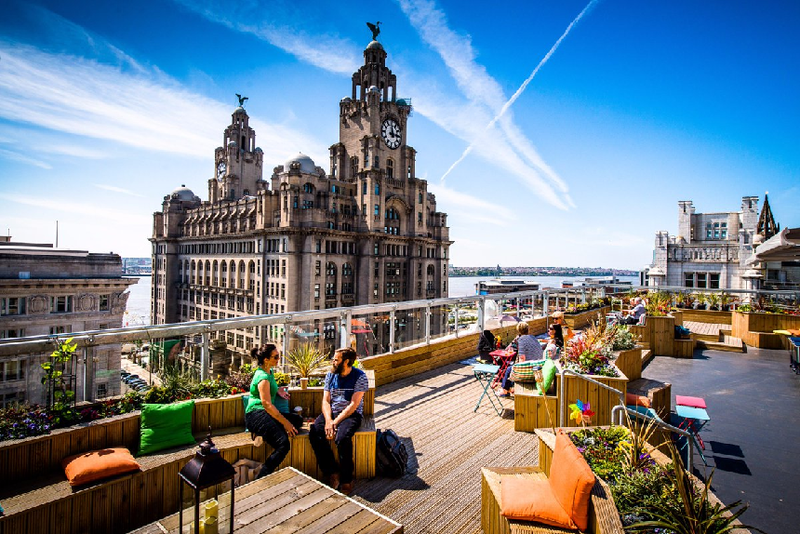 With a diverse range of cafes, restaurants, bars, social warehouses, art spaces and chill out areas, you won’t find it hard to pass the last few hours of your amazing 48 summery hours in Liverpool. 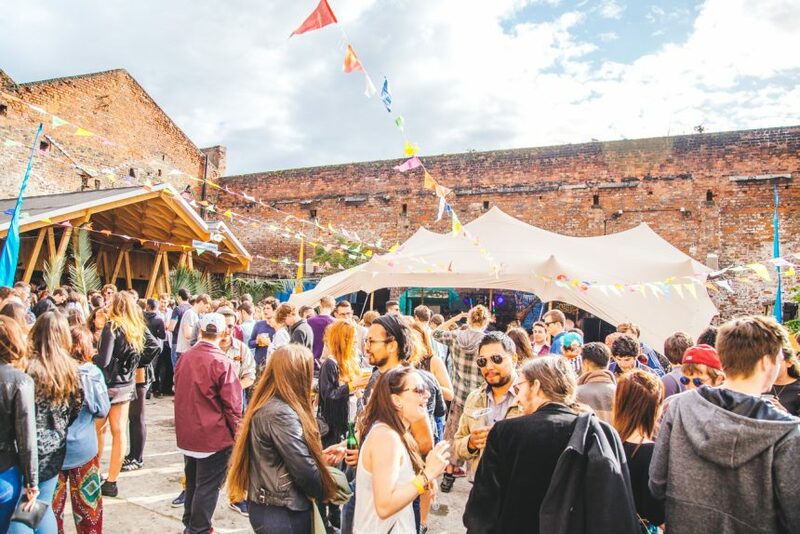 There are regular gigs and live music events at 24 Kitchen Street, Camp and Furnace and Constellations, as well as beer festivals and art installations, so don’t forget to check out what’s on when you visit. This summer the Baltic Triangle welcomes the Baltic Market to the Cain’s Brewery. A giant food hall and hub dedicated to all things food, drink, live music and events, this market is sure to be a hit with Liverpudlians and tourists. With choices ranging from Camp and Furnace, the Baltic Social, amazing street food and pop up food stalls and the summer BBQ at Constellations, there is a great selection of food on offer in the Cultural Quarter. 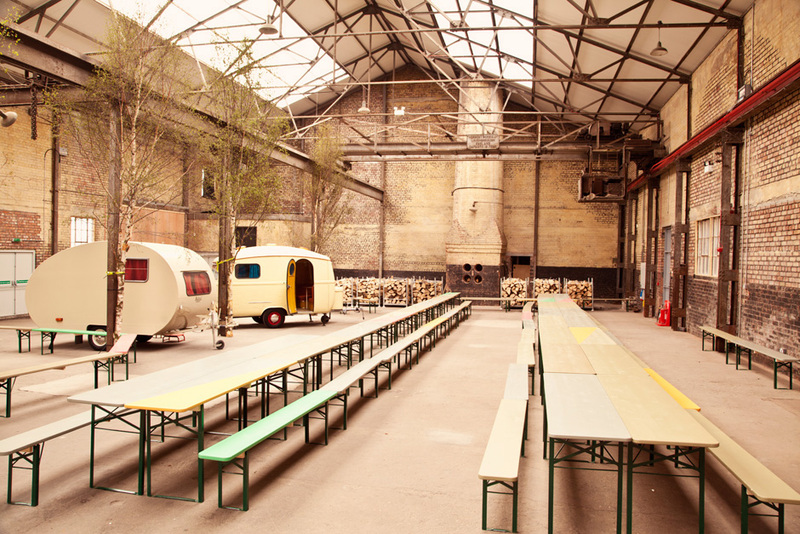 Camp and Furnace offers diners everything from lobsters to street food, expect hearty portions of home cooked food in a communal setting. You’ll find comfy sofas, open log fires, vintage caravans and bare bulbs, making it one of the coolest places you’ll eat in Liverpool. If you fancy something a bit more rugged, try the Baltic Social. An art and music hub, this warehouse is cosy and dingy at the same time. They offer a range of small plates, burgers and the famous punk afternoon tea, but you might be too late to sample it. But if you want to stay in the sunshine head to Constellations for their tasty summer BBQ with giant burgers and ribs that will make your mouth water. If none of those take your fancy, get some real sunshine and head to the independent vegan friendly pop up, Ital Fresh. They serve Caribbean vegan street food using locally sourced ingredients. Offering dishes from plantain to sweet potato fries, Ital Fresh is sure to challenge your preconceptions that Caribbean food is all jerk-chicken and curried goat. One of the best little suntraps in the Baltic Triangle area is the beautiful Botanical Gin Garden. For those looking for a relaxing escape, this garden venue is perfect for curling up on a couch or lounging back in a deck chair and topping up your tan. 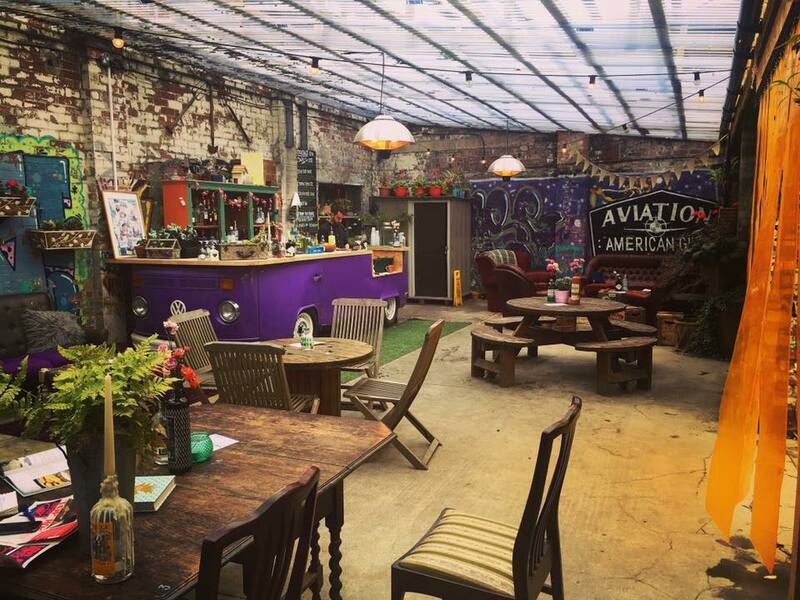 The al fresco setting specialises in all things gin, from the classic G&T to the more adventurous cocktails like The Tarragon which includes portobello road gin, oleo saccharum, fresh lemon, tarragon and soda; this hidden gem is the perfect place to end your Liverpool adventure. With the sun setting on your final hours in Liverpool, it’s time to raise a glass to an amazing couple of days in Liverpool and head back to your hotel for a well-earned rest. We hope you’ve enjoyed our ultimate guide the best 48 summery hours in Liverpool, if you think we’ve forgotten anything then let us know in the comments below!